Nose: Lifted red fruits, smells like the coast, herbs, freshness, spring tips, citrus tones, cedar, earth. Mouth: Precise fruit, red and crisp, fresh, pretty texture: grippy with bitter chocolate, rose hips. The last of the appellation releases, the 2014 Pinot Noir Sonoma Coast was brought up in 55% new French oak, which is slightly more than the 2013. Deep, rich and earthy, with notes of bouquet garni, smoked earth, licorice and dark fruits, it has full-bodied richness, a big mid-palate and is packed with gorgeous amounts of fruit. 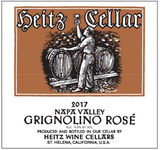 It's a big, rich wine from this cool climate appellation, yet I suspect it will show more classic Sonoma Coast characteristics with a year or two in bottle. It's a beautiful wine. Offers direct, rich and deep red and dark berry flavors that are spicy, pleasantly tannic and chewy, ending with a pure, rich burst of fruit that tails off into drying tannins. Tasted twice with consistent notes. Drink now. 6,935 cases made.